“Then came to him certain of the Sadducees, which deny that there is any resurrection….” (Luke 20:27). In Luke 20:27 we read that there came to Jesus “certain of the Sadducees.” The Sadducees were a particular sect within first century Judaism. Their name probably derived from the title “Zadokites,” taken from Zadok, the great priest of God during the days of David and Solomon when the temple was first built. The Sadducees were priestly aristocrats who controlled the temple worship and sacrifices in Jesus’ day. They were conservatives who had worked with the Romans to maintain the status quo temple operations. They disappear from history after the Romans destroy the temple in 70 AD. Luke adds an important detail about the Sadducees in v. 27: “which deny that there is any resurrection.” The Sadducees were naturalists (or anti-supernaturalists). They were religious, but they did not believe in life after death. They believed that you only live once and after death you simply pass into non-existence. 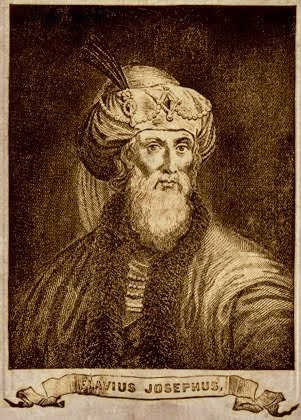 Summary: Sadducees (1) did not believe in life after death; (2) they gave pride of place to the Torah; (3) they were contentious—they liked to argue. Summary: Sadducees (1) did not believe it mattered how one acted ethically in this life; (2) denied life after death and eternal punishment in hell (and, by implication, rewards in heaven); (3) they tended to viciously attack one another in disagreements. Acts 23:6 But when Paul perceived that the one part were Sadducees, and the other Pharisees, he cried out in the council, Men and brethren, I am a Pharisee, the son of a Pharisee: of the hope and resurrection of the dead I am called in question. 7 And when he had so said, there arose a dissension between the Pharisees and the Sadducees: and the multitude was divided. 8 For the Sadducees say that there is no resurrection, neither angel, nor spirit: but the Pharisees confess both. You might rightly ask: How could the Sadducees possibly hold such views? How could they deny the resurrection? What about Job 19:26? Maybe the explanation rests in the fact that they chose only to value the Torah, and they thought it did not directly teach this doctrine. It is an old ploy of anti-supernaturalists to deny the whole counsel of God. It is a group of such men who approach Jesus to question him. We do not have to wait till the Age of the Enlightenment or the modern period or for the so-called “new Atheists” to arrive to find men who reject the supernatural. They were there in the first century in the Sadducees. These men come looking to entrap Jesus, to “take hold of his words” (cf. Luke 20:20). There is little that is hopeful about the spiritual state of these men in Luke 20. No doubt, among those priests who became disciples there were some former Sadducees. The resurrection of Jesus from the dead convinced them of the resurrection. God is still pleased to take those who have rejected truth and make them lovers of the truth, to take those who have rejected the supernatural and make them believers in miracles, to take those who had rejected life after death and give them hope. The Vision (5.22.14): How is the Word to be read and heard? Image: Scene from May 17th CRBC Church Family Fellowship hosted by the G. Family. Q 73: How is the Word to be read and heard that it may become effectual to salvation? A: That the Word may become effectual to salvation we must attend thereunto with diligence, preparation, and prayer, receive it with faith, and love, lay it up in our hearts, and practice it in our lives. Are we diligent in daily reading of the Scriptures? In at least weekly, Lord’s Day by Lord’s Day, attendance upon hearing the Word of God (cf. Heb 10:25)? Are we as diligent in hearing the Word as we are in caring for our physical bodies? Would you go days and weeks without eating, bathing, grooming? Then why go the same length of time without Bible intake? Are we as diligent in keeping a commitment to hearing the word as we are to our jobs or other commitments (schools, family, etc.)? Are we aware that it takes spiritual preparation to hear the Word? Perhaps we do not sometimes “get something” out of reading Scripture or hearing sermons because our hearts are distracted. Might it be helpful to begin your reading of the Bible with a prayer for illumination? It is possible to know the truth and to outwardly obey the truth but not to love the truth. Just as there are children who might be outwardly obedient to parents but who rebel when they gain their independence, so it is not enough just to know the truth or to merely obey the truth outwardly, but we must love it. There is the reading of the word; there is the hearing of the word; and there is the hiding of the word in our hearts. Have you memorized the word of God? Do you know more lyrics of secular songs or the dialogue or secular movies or even uninspired Christian songs and movies than you do the word of God? Which will be of more profit for you? And how might memorized Scripture be used as resources for your personal Christian life and for your ministry? We are not only to know the truth, but we are to practice it. The Bible is not to be a museum piece to be observed, but its teachings are to be put into living practice. May God helps us through Christ faithfully to read and hear his Word. Doing a little research proved to be singularly unenlightening. Doing more led me to believe that this is a true statement with a caveat or maybe two. Once saved, I suppose a person could go into some sort of denial, renounce the Lord as their personal savior, harden their heart and thus revert to their prior state: unsaved. Now then, all that being said I cannot imagine a set of circumstances that would provide someone motivation to do such a terrible thing, but I suppose it could happen. Most anything's possible, right? But other than that, I believe that once you are saved, you are always saved. What do you think? And which passages should I be concentrating on for this? The term "once saved, always saved" is a more contemporary interpretation of the classic, standard, Reformed concept of "perseverance of the saints" (the P in TULIP). I personally don't like the "once saved, always saved" expression or the related "eternal security" language, because I believe it tends to water down the fact that genuine salvation is also accompanied by sanctification. A few years ago John MacArthur got into some back and forth with some "once saved, always saved" or "carnal Christianity" folk over what was called "Lordship salvation." You should be able to find traces of this discussion on the web. Chapter 17 of the Second London Confession presents a classic Reformed view of the doctrine of the perseverance of the saints. Can't be said better. This is my recent sermon on the P in TULIP. 1. Some questioned the fact that Jesus wrote nothing but that testimony concerning him must rely on the writings of his followers. If Jesus was the wisest of men, as they claim, did he not have the ability to make trusted disciple who could accurately record his life and teaching? And if this is the case, why do they not believe the Gospel records of Jesus’ life? Why do they not acknowledge Jesus to be God? Image: The ending of the Gospel of Luke in Codex Alexandrinus, dated to the 5th century AD, which provides an early witness to the traditional text of the Gospels. Note the closing title under the decorative marking, euangelion kataloukan, "The Gospel According to Luke." The problem here is whether the question: “Why do you tempt me? [ti me peirazete;]” should be included in the text. It is included in the traditional text and omitted in the modern critical text. Greek manuscripts supporting inclusion: Codices Alexandrinus, C, D, W, Theta, Psi, family 13, 33, and the vast majority. It is also supported by the Old Latin and all the Syriac versions. 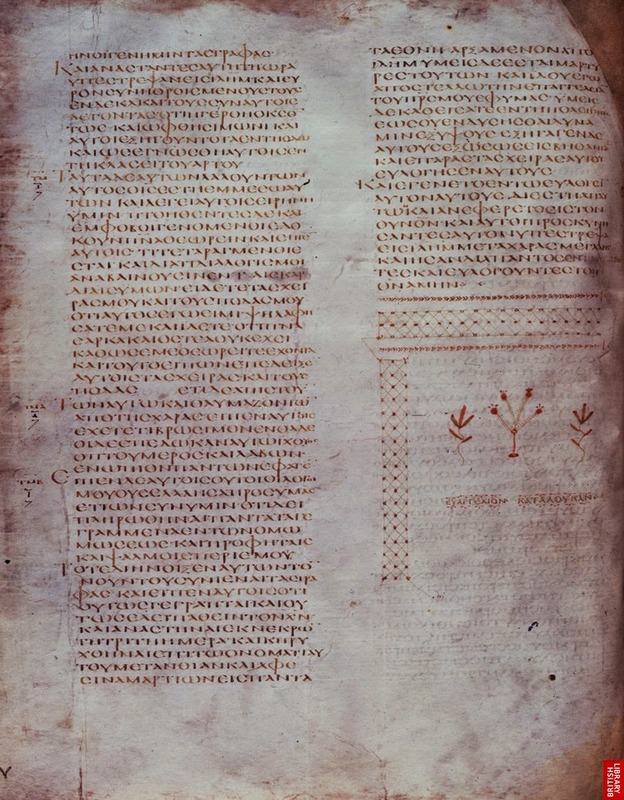 Greek manuscripts supporting omission: Sinaiticus, Vaticanus, L, family 1, and others. It is also supported by all the Coptic versions. Metzger does not address this variant in his Textual Commentary. No doubt, modern text advocates would see the inclusion of the question as a harmonization with the parallels in Matthew 22:18 (“Why do you tempt me, hypocrites?”) and Mark 12:15 (“Why do you tempt me?”). Indeed, there is some evidence of textual harmonization in Mark and Luke, in particular to include Matthew’s “hypocrites [hypocritai].” This is espeically true in Mark 12:15 where “hypocrites” is included in a wide number of early witnesses, including p45, N, W, Theta, family 1, family 13, 28, 33, and others. It is not, however, adapted as the majority reading for Mark 12:15. In comparison to Mark 12:15, the harmonization to Matthew’s reading in Luke is slight with only codex C and a few others adding “hypocrites” at Luke 20:23. This raises the following important question: If there was a scribal effort to harmonize the reading at Luke 20:23, why do we not see more evidence (as in Mark 12:15) to harmonize the reading with Matthew 22:18 by including “hypocrites”? Some might impose here the theory of Markan priority and suggest that Luke simply followed Mark here as a source, but that conclusion is speculative. Another adverse possibility if one adopts the Markan priority theory is simply that the question was original to Luke and would especially be so if he supposedly followed Mark here as a source. First, there could have been an accidental scribal omission in an early manuscript or manuscripts which served as the exemplars for those which perpetuated the omission. Second, there could have been an intentional omission for stylistic or theological reasons. Stylistically, if original, the question is introduced with the statement: “he said to them,” using the verb lego. Perhaps, it was thought strange that the question was not introduced with “he asked them,” using the verb eperotao. Furthermore, perhaps it was thought that the introduction “he said to them” better fitted the accompanying command, “show me a denarius” in v. 24. In this case, the question might have been omitted for stylistic reasons. Theologically, the question, “Why do you tempt me?”, with its use of the verb peirazo, recalls the temptation of Jesus in the wilderness (cf. Luke 4:2) and, in particular, the response of Jesus in Luke 4:12, citing Deuteronomy 6:16, “It has been said [using the aorist of lego], You shall not tempt [ekpeirazo] the Lord your God.” If original, here is a place where the divinity of Jesus is subtly affirmed in Luke, even as it is for the same reasons in Matthew and Mark. As it is wrong to tempt God, so it is wrong to tempt Jesus, because Jesus is God. Is it possible that there might have been Arian or proto-Arian scribes who were uncomfortable with such a subtle affirmation? There is widespread and ancient support for the traditional text, which includes the question from Jesus in Luke 20:23, “Why do you tempt me?” The modern critical text’s omission of the question belies its typical tendency to follow the heavyweights Sinaiticus and Vaticanus. If the inclusion of the question was a harmonization to Matthew and Mark, why do we not see more evidence, as in Mark 12:15, of more effort to make Luke’s text comply with Matthew 22:18 by including “hypocrites”? Furthermore, we can well imagine good reasons as to why the question might have been omitted either by accident or for stylistic or theological reasons by early scribes. We therefore conclude that there is no compelling reason to abandon the traditional text reading of Luke 20:23. 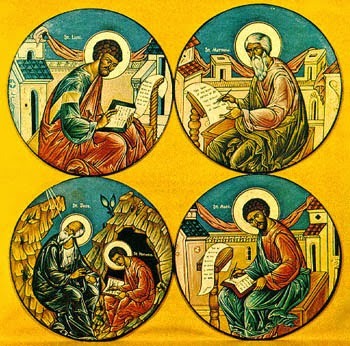 But John, on the others hand, had in view that true divinity of the Lord in which He is the Father’s equal, and directed his efforts above all to the setting forth of the divine nature in his Gospel in such a way as he believed to be adequate to men’s needs and notions. Therefore he is borne to loftier heights, in which he leaves the other three far behind him…. 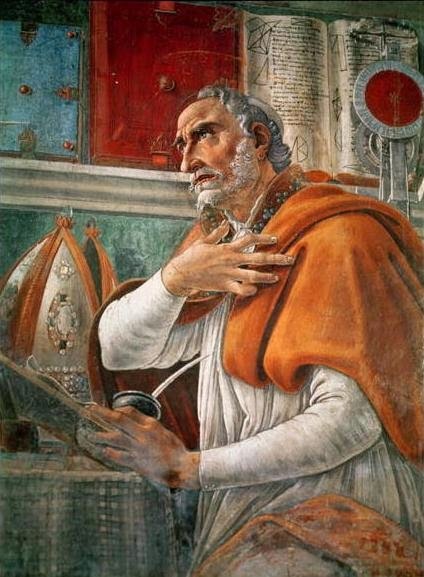 Finally, Augustine reflects on the how the four Gospels have been figuratively represented: Matthew as lion, Mark as man, Luke as calf, and John as eagle. 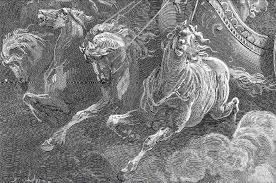 He notes that Matthew is appropriately the lion, since he presents the kingly character of Christ. Luke is rightly the calf "in reference to the pre-eminent sacrifice made by the priest." Mark simply presents Christ as a man. "Whereas John, on the other hand, soars like an eagle above the clouds of human infirmity, and gazes upon the light of the unchangeable truth with those keenest and steadiest eyes of the heart." Image: The Lynchburg Fellowship had a reception after Sunday evening service last Lord’s Day to celebrate a student attendee’s graduation from Liberty University. Note: Here are some of the notes from the exposition of Luke 20:10-13 from last Sunday morning’s sermon. “Then said the Lord of the vineyard, What shall I do? I will send my beloved son: it may be that they will reverence him when they see him” (Luke 20:13). In vv. 10-12 we see the vineyard owner sending a series of three servants or slaves to take his part of “the fruit of the vineyard” (v. 10). We also notice there is an escalating hostility to these messengers. The first comes “at the season” (v. 10). But the husbandmen beat (dero: hit, strike) him and send him away empty. We see here the irrational nature of the treatment of these messengers. Why do the husbandmen treat the servant in this way? Do they not fear the consequences of abusing the master’s servant? We also see the patience of the owner. Why did he not at this first injustice simply send a host to punish these wicked men? Instead, he sends another servant (v. 11). This one they not only beat (dero), but they also treated him shamefully (atimazo: to dishonor, to offer disrespect). Surely now he will swiftly act and crush these puny rebels! Now, he will let them taste from the cup of his wrath. They shall get their just reward. But no, he sends yet a third servant (v. 12). Is there no end to this man’s patience? Now, surely, they will be humbled before his messenger. Yet this one they treat worse still. They “wounded” (traumatizo: to injure or wound) him, and they cast him out (ekballo: expel, reject, dispel). Let’s see, he’s sent three servants and each has been ill treated and with escalating violence. What happens now? In v. 13 we gain insight into the internal counsels of God concerning the plan of salvation as Jesus says that the Lord of the vineyard asked himself, “What shall I do?” And this is his amazing response: “I will send my beloved son: it may be that they will reverence [the passive of the verb entrepo, meaning to respect or be ashamed or humbled by] him when they see him” (v. 13). Now, this is where the parable takes on a particularly unreal or hyperbolic nature. What ordinary person would do this? Let’s say I own a house, and I rent it to some disreputable fellows. I send an employee to collect my rent, and they slap him in the face; I send another, and they not only slap him, but they also spit on him. I send a third, and they stab him. And then I think to myself: Well, I think I’ll now send my beloved son to collect the rent. Maybe they’ll respect him. Who thinks like this??? And then we realize that this is how the God of the Bible has acted in Christ. When prophet after prophet, messenger after messenger, minister after minister had been rejected, in the fullness of time, he sent forth his beloved Son to save sinners through his death on the cross. Luke, on the other hand, “appears to have occupied himself rather with the priestly lineage and character of the Lord.” This explains the divergence in their genealogies, as Matthew traces Jesus’ lineage through King Solomon, while Luke through David’s son Nathan, who was not a king. While Matthew had Mark, Luke “had no one connected with him to act as his summarist.” Augustine explains that as it is right for kings to have attendants, so it is right for Matthew which shows forth Jesus as King to have an attendant in Mark. I got to spend three days this week with three of my favorite people in one of my favorite places. I spent three days hiking and camping the lower section of the AT (Appalachian Trail) in the Shenandoah National Park with my three oldest (Hannah, Lydia, and Sam). We covered about 30 miles, setting in North of Loft Mountain and hiking South on the AT to Rockfish Gap. I did my first AT hike the summer after my freshman year of college. Then, the summer after I graduated from college I spent ten weeks leading group trips for the North Carolina ministry "Christian High Adventure." This time out, I was soon reminded that my body is not in the same shape it was 30 years ago. The kids had to do a lot of waiting for the old man to catch up from the rear. Interesting how the relationship changes as the years go by. God has blessed me with amazing children beyond what I might have asked or imagined. The terrain we covered pushed us to our physical limits with steep ascents, but it also rewarded with breathtaking views. I was also reminded of the value of water as we made it through the long dry patch between the spring at the Black Rock Hut and the stream at Jarman's Gap. 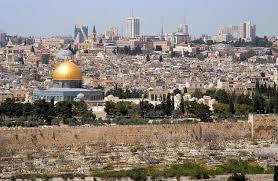 “And when he came near, he beheld the city, and wept over it” (Luke 19:41). 1. The weeping of Jesus shows his full humanity (cf. John 11:35; 1 John 1:1-4). 2. The weeping of Jesus shows his compassion for sinners [not only the first century inhabitants of Jerusalem but all they whom they represent]. When Jesus looks upon those who reject and spurn him he weeps. 3. The juxtaposition of the weeping of Jesus and the cleansing of the temple (vv. 45-46), show forth the mercy and compassion of the Lord but also his justice and zeal for the truth. 4. The cleansing of the temple shows that Jesus will have a pure church. His bride must be spotless and without blemish. A pure Christ requires a pure church. It must be pure in its membership: a regenerate church. It must be pure in its worship: scripturally regulated worship. It must be pure in its sincerity to serve Christ: no mixed or false motives. 5. Where Jesus teaches, there will always be a mixed reaction (vv. 47-48). He will cause the unregenerate to recoil against him, to lash out in anger, or to plot his destruction. But, there are also those who will listen to him with attentiveness. Our Lord was weeping over us in our unregenerate state, when we were deaf and blind to the gospel. Now, rather than giving us what we deserve, he has lavished upon us his affections. What a privileged position we now enjoy! VBS is for children ages preschool to 12. Older children (ages 13-18) will be youth helpers. Parents and family may also stay and participate in the sessions if they like. Free Lunch will be served on site for participants and families daily from 12:30—1:00 pm.